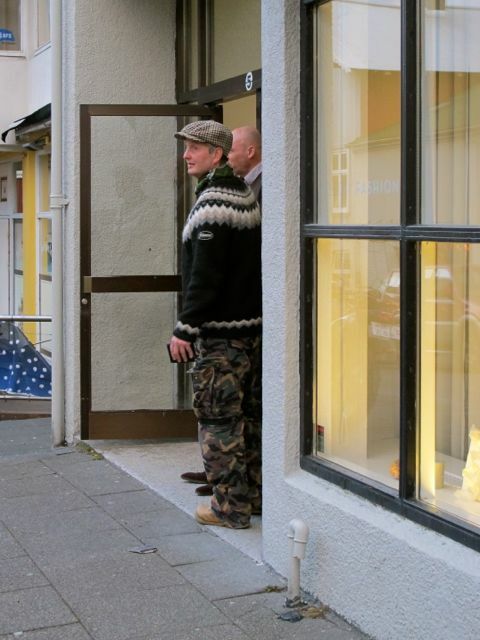 The traditional Icelandic sweater is finding new life in Reykjavik, as young designers take inspiration from the past for their contemporary designs. 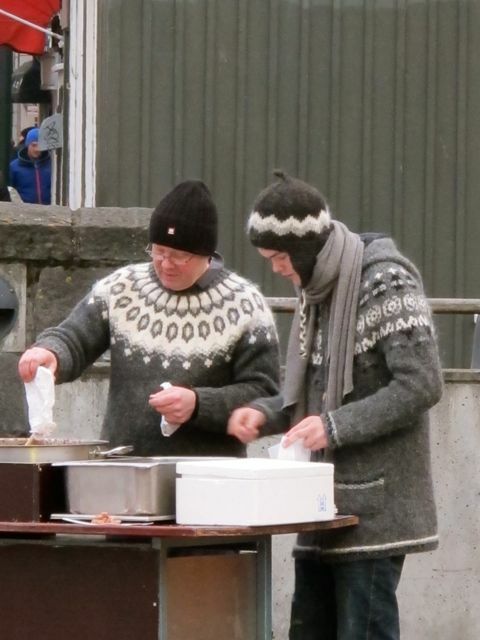 This sweater is so iconic to Iceland, I was sure there must be an interesting ancient history behind it. 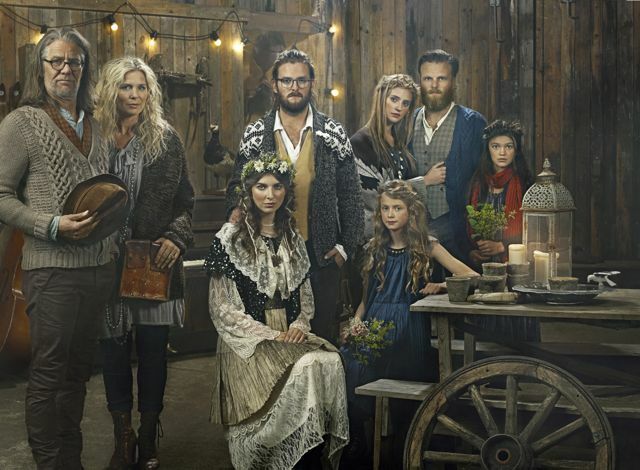 I imagined the traditional patterns being handed down from generation to generation, like a family heirloom. I set out to unearth the story. 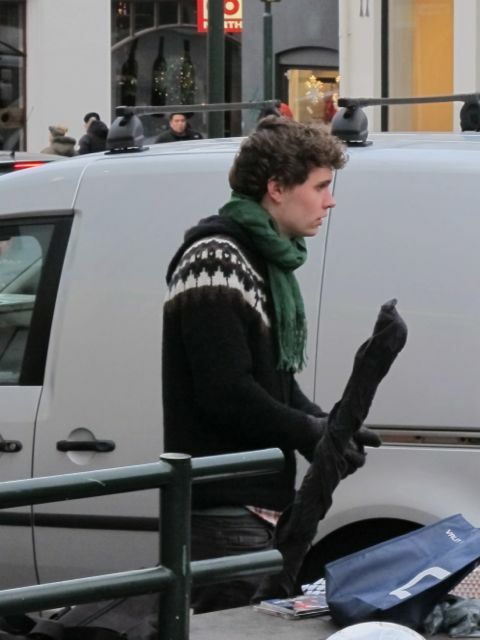 I saw countless versions of the sweater in stores. 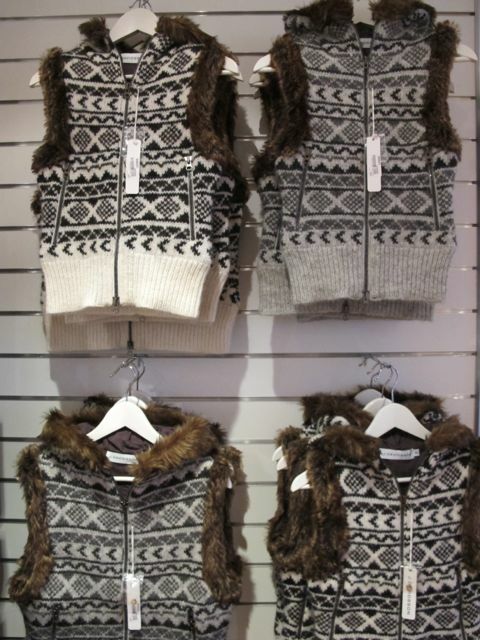 There were various patterns and colors, some with zippers, some with hoods, some with zippers and hoods, vest versions, versions with fur; all in sizes that ranged from infant to adult. 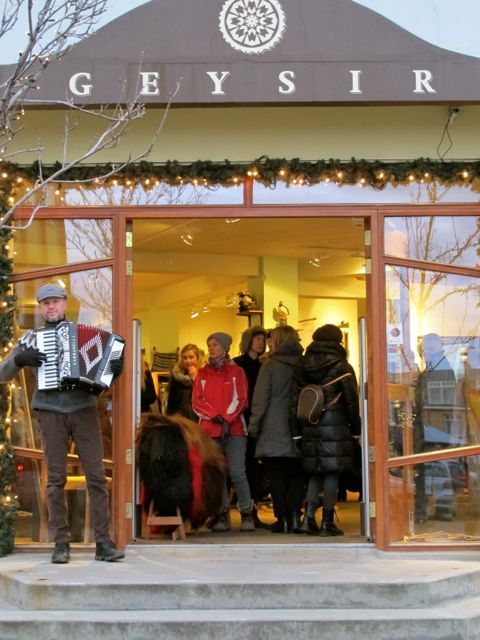 One of the hippest stores is Geysir. 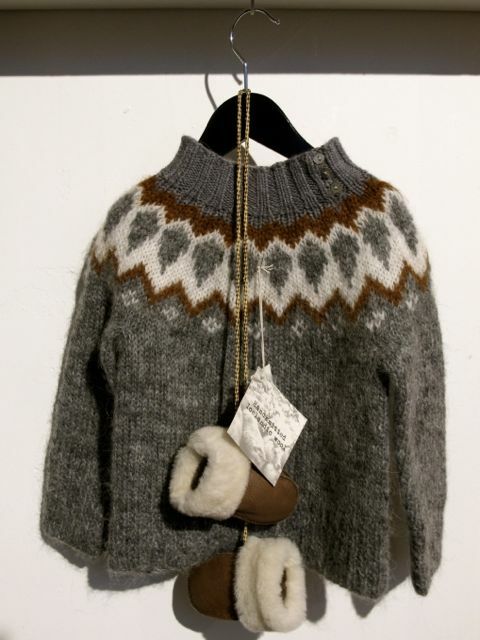 (Not surprisingly, it was here that I succumbed to my need for an Icelandic knitwear purchase.) 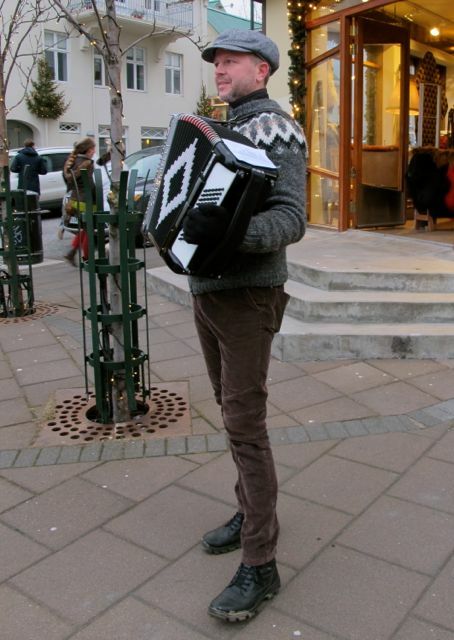 They even had a be-sweatered accordian player outside the store one day. 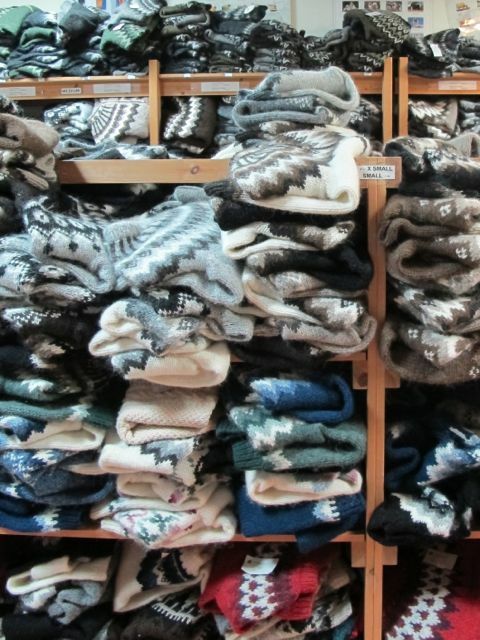 In the Handknitting Association of Iceland, the sweaters were stacked to the ceiling, in just about every color, shape and size you could imagine. 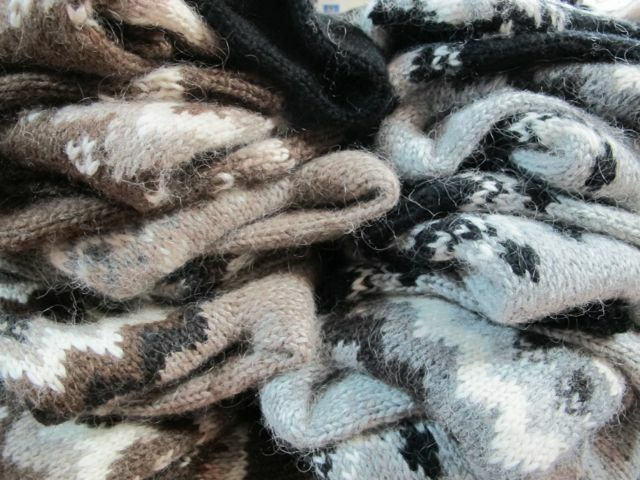 The yarn from Icelandic sheep is unique because the breed has been isolated from other breeds for centuries. 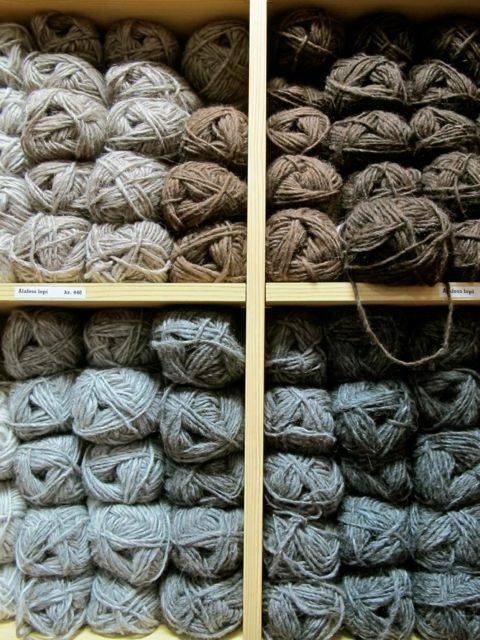 All those years of exposure to the sub-Arctic climate has produced wool with two distinctive fibers. There's warm, soft, insulating fibers close to the body called "þel," (which is pronounced "thel"), and long, water repellent fibers on the surface called "tog." Which explains why people are wearing the sweaters without jackets. 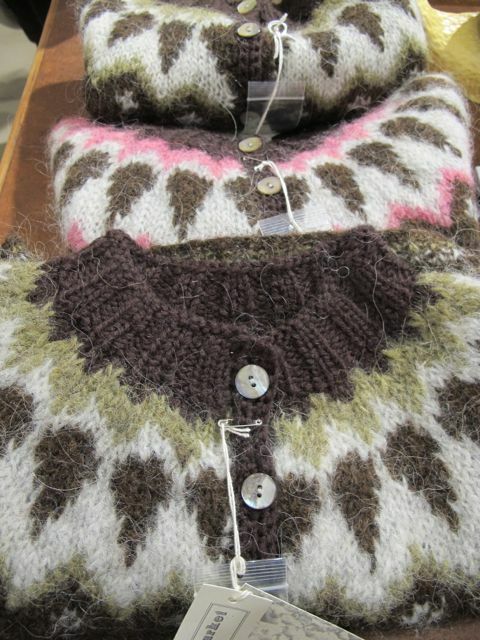 At the Handknitting Association, you can even buy the supplies, and the patterns, to make your own. 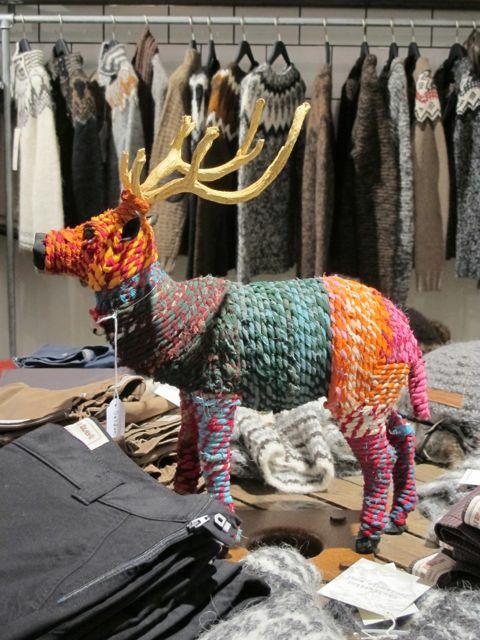 The funny thing was, as I started to ask around about the history of the sweater, I couldn't find any information. Not at the Handknitting Association, nor at any of the bookstores. Where were the history books with the pictures of 15th-century ladies spinning wool and knitting it into primitive sweaters? 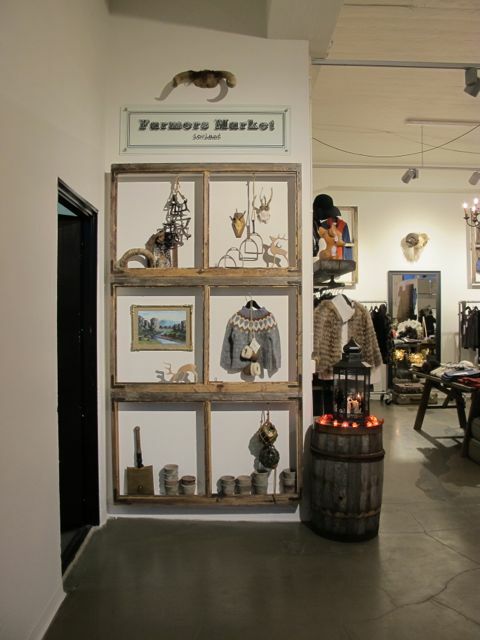 I finally got my answers when I ventured to the edge of the old fisherman's port, to the Farmers Market flagship store. So here it is, what we've all been waiting for. 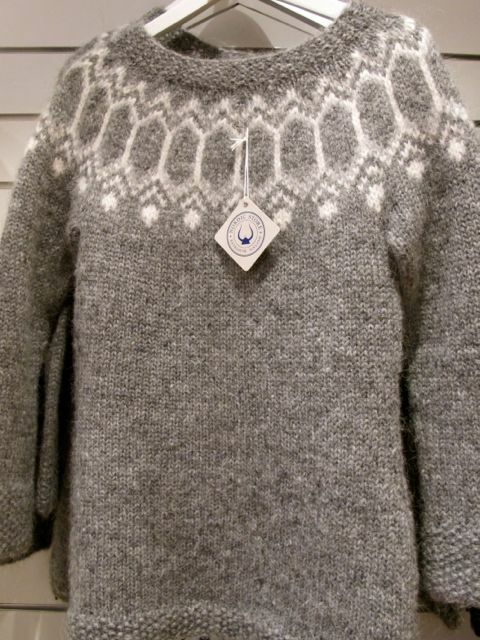 Not, as I had imagined, from centuries ago, and not even really traditionally Icelandic... rumor has it that Auður Laxness, the wife of Nobel prize-winner, Halldór Laxness, brought a version of the sweater back from Greenland and replicated it in the late 1940s. 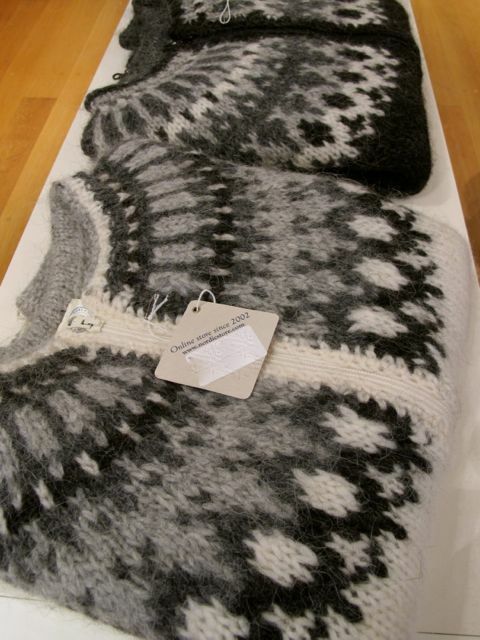 Designs for the sweater were inspired by old Icelandic patterns, but also from imported embroidery manuals. 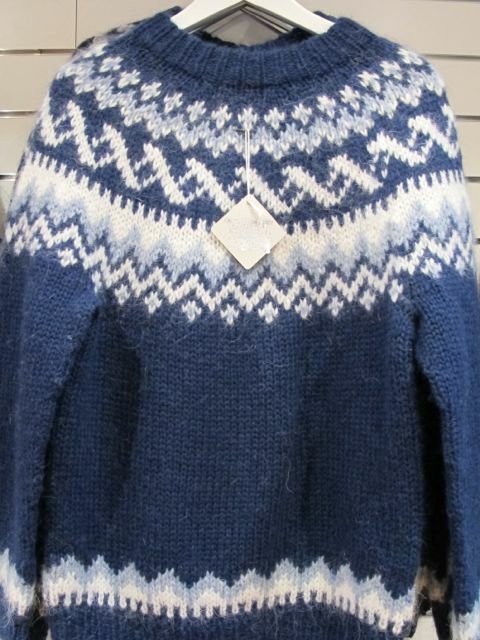 In the '60s and '70s, the sweater gained widespread popularity and made a lasting impression in Icelandic imagery. 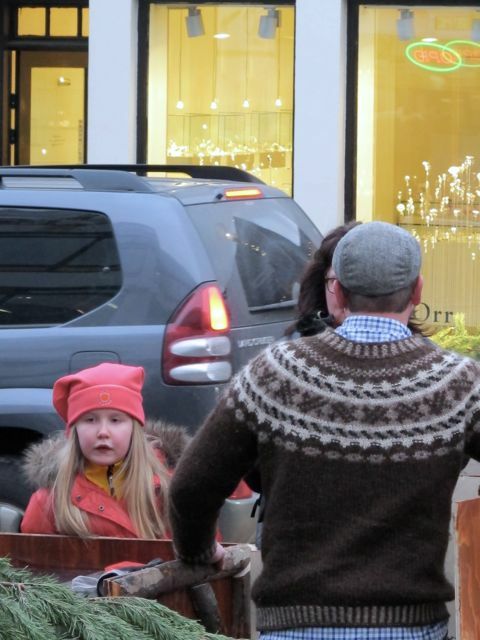 The sweater received a resurgence in popularity, becoming something of a national symbol in the movement to restore national identity and boost morale after the economic crisis in 2008. 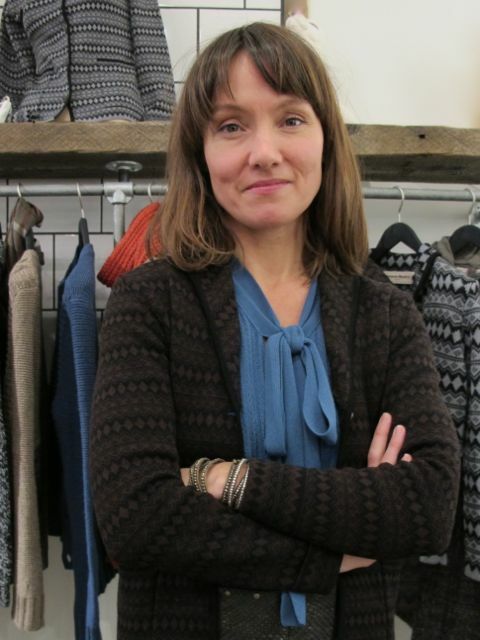 While Bergthora was a designer for outdoor sportswear company, 66˚North, she used the traditional circular yoke pattern of the sweaters in a very contemporary way -- on a fleece jacket. 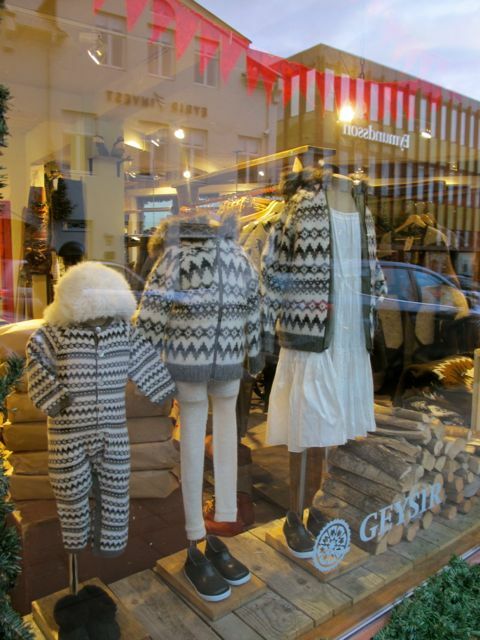 The jacket's success indicated a demand for chic, modern clothing inspired by, and infused with, Nordic design elements. 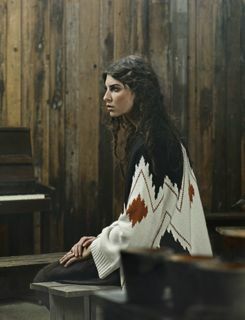 With Farmers Market, Bergthora and Jòel have established a brand that uses natural materials and traditional craftsmanship to create clothing that is sophisticated and cutting-edge. 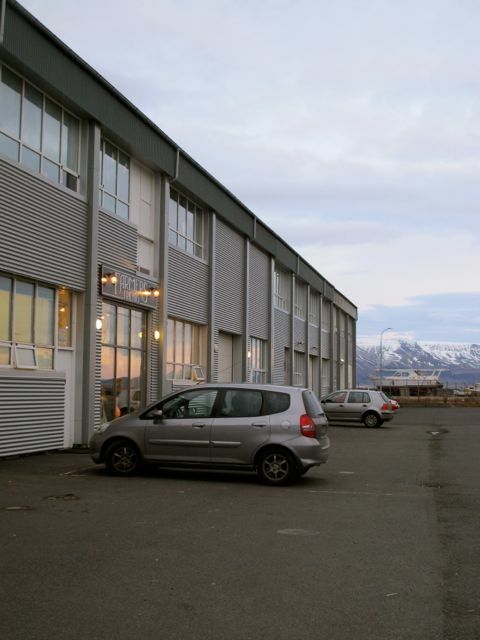 "We wanted to place ourselves at a junction. A place where heritage meets modernity, the national meets the international and where the countryside meets the city. We find this an exciting place to explore." 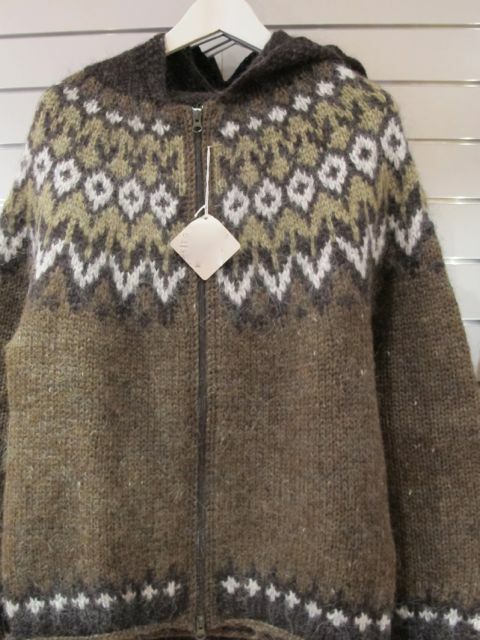 The Icelandic sweater -- though not centuries old as I had thought, and not even originating in Iceland -- has nonetheless become a symbol for Iceland's heritage. See my blog for more stories on international style and design.